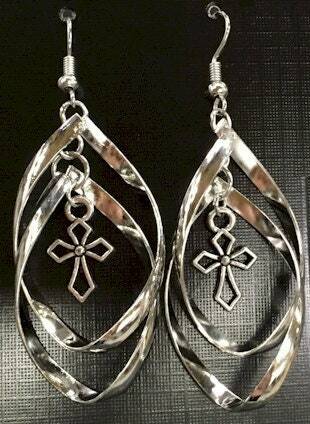 These fashion earrings are both elegant and truly beautiful. 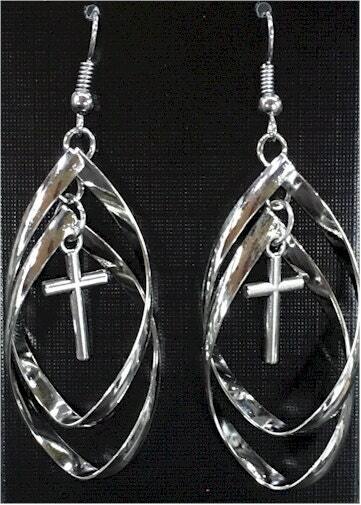 The earrings are made with two highly reflective twisted bands that surround a stylish Hollow Cross or Classic Cross. Select either Hollow Cross or Classic Cross. At the bottom of the ear wires the fashion earrings measure 2” long x 7/8” wide.